Mobile technology is an extraordinarily potent platform that can chop, change, augment and enhance every aspect of our everyday lives. No corner of life is immune to mobile – from the simplest communications (SMS messaging) to 24-hour body function monitoring (self-monitoring) and far, far beyond. Somewhere in the middle are the ways that mobile can capture and amplify our senses. People love talking about megapixels, branded lenses, HD resolution, low light capabilities, shutter lag and the like. 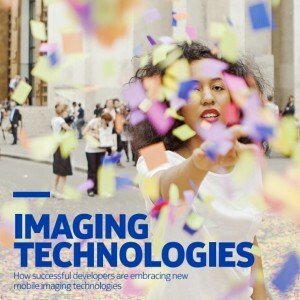 Keeping this passion for the camera in mind, this document will focus on imaging, video and audio technologies and apps that empower people to capture, manipulate, share and engage socially with others. Brian Loeb authored this report together with Nokia and KAE. Download full PDF here.